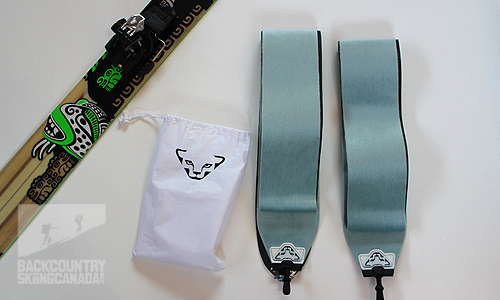 The Dynafit Speedskin is an integral and purpose-built part of the Dynafit ski touring system. 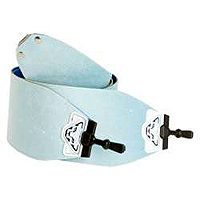 Its unique and hyper-functional tip and tail connectors will only work with the associated tip and tail of Dynafit skis. This is bad news if you’re attempting to use the skins with another kind of ski, but very good news if you are using them with, for example, the Huascarans skis or the Stoke skis. Before, or after, you read our little review here on the Dyanfit Speedskin, be sure to check out some of the other reviews we’ve done on Dynafit gear, like: The Dynafit Huascaran Alpine Touring ski, Dynafit Zzeus Alpine Touring Boot, the Dynafit Vulcan Alpine Touring Boot, the Dynafit Stoke Ski, and the Gear of the Year Winning Dynafit Eruption Down Jacket. 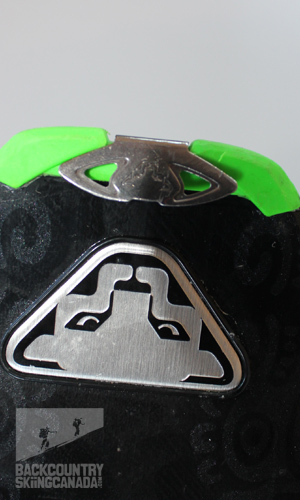 Of course, we’ve also covered the Dynafit Radical ST bindings, which may be what the manufacturer is best known for. 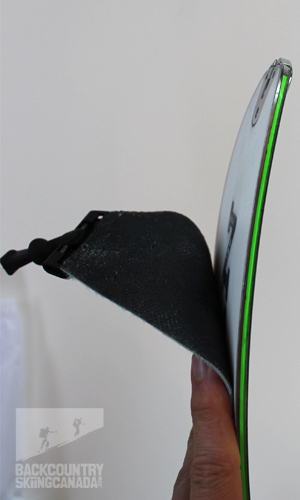 We’ve also done a mini vid on how to rip the skins while leaving your skins on. For the purposes of this write up, the speedskins were paired with Huascarans and Radical STs. Do you like looking at pictures? We do. Here’s a picture of the whole family. The speedskins are lighter than “regular” skins because of their 80-to-20% mohair to nylon ratio. 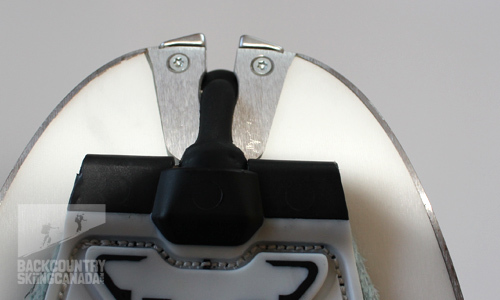 Here’s a pic of the toe attachment from the sticky side. See the little rubber ball part? 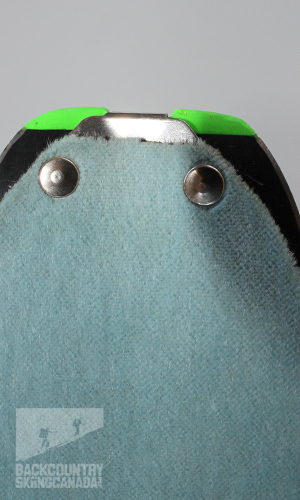 That is what attaches the skin to the ski (you’ll see what I mean in a sec.). Note also that the horizontal metal pin you see means the piece is replaceable. Here’s what it looks like “engaged”—with the sticky side now facing the ski. 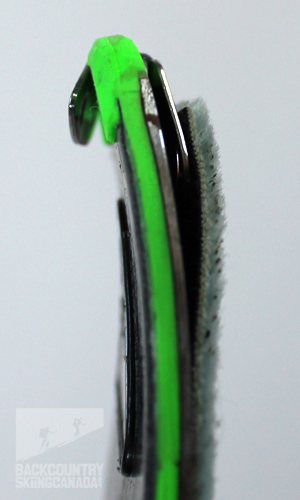 The stretch of this rubber component is what allows for the speedskin’s easy on/off action. Side view – just to be thorough. Now to the tails, bottom and top respectively. 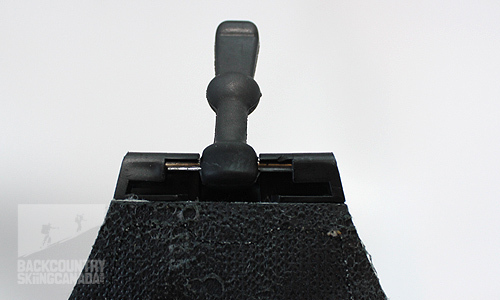 Here is the metal tail cam that makes for a super-tidy attachment. It’s also the part you have to consider when ripping you skins with your skis on. These’ll bend if you don’t slow down toward the end of your ripping action. Finally, a side view showing how it all fits together. I think this may have been taken before I bent my tail cam back. This looks a little less tight than it usually is. Regardless, I hope you get the idea. Light, easy on/off, packable. Laser cut to specific ski models, great glide. Hard to find in Canada, won’t work with other skis, a little spendy.